Google is owned by Alphabet which is the world’s number 1 media organization and has a Zionist-dominated Board. However Google grossly violates journalistic standards by blatantly censoring the views of numerous anti-racist Jewish humanitarians as recorded in a series of public interest websites. Thus 5 websites involving criticism by anti-racist Jews of genocidally racist Zionism, Apartheid Israel, Israeli state terrorism, the Gaza Concentration Camp and the Palestinian Genocide are totally absent after Google Searches whereas Bing Searches reveal these sites as number 1 to 10 on page 1. This constitutes extraordinary censorship by Google of anti-racist Jewish opinion. Google Searches for the websites “Jews Against Racist Zionism”, “Gaza Concentration Camp”, “Apartheid Israeli State Terrorism”, “Muslim Holocaust Muslim Genocide” and “Palestinian Genocide” all yield zero (0) results whereas Bing Searches reveal these sites as number 1 out of over 1 million results in each case, except for number 10 out of 1.3 million results for “Palestinian Genocide”. Remarkably, a range of similar genocide-related websites that from their titles do not obviously involve commentary by anti-racist Jewish humanitarians are not subject to this extraordinary Google censorship. Thus Google Searches for the websites “Non-Jews Against Racist Zionism”, “Boycott Apartheid Israel”, “Iraqi Holocaust, Iraqi Genocide”, “Afghan Holocaust, Afghan Genocide”, “Aboriginal Genocide” and Climate Genocide” all yield the website as number 1 to 4 on page 1 of the results, and Bing Searches yield the website as 1 to 10 on page 1 of the results. This extraordinary censorship by Google seems to be confined to censorship of websites involving commentary by anti-racist Jews. This extraordinary Google censorship of anti-racist Jewish humanitarians objecting to the horrendous crimes of Apartheid Israel is intolerable censorship (deliberate suppression of information), gross anti-Jewish anti-Semitism (deliberate blocking of the expert and humane views of outstanding, anti-racist Jewish intellectuals) and egregious fake news through lying by omission that is far, far worse than lying by commission because the latter can at least permit public refutation and public debate. Before presenting the Google Search and Bing Search results in detail and in context, it is useful to define critical terms. Thus “holocaust” refers to the death of a huge number of people as, for example, in the WW2 Jewish Holocaust (5-6 million Jews killed by violence or deprivation) [1, 2], the WW2 European Holocaust (30 million Slavs, Jews and Gypsies killed) , the WW2 Chinese Holocaust (35 million Chinese killed under the Japanese, 1937-1945) , and the WW2 Bengali Holocaust or Indian Holocaust (6-7 million Indians deliberately starved to death by the British with Australian complicity, 1942-1945) [5-8]. However “genocide” is defined by Article 2 of the UN Genocide Convention thus: “In the present Convention, genocide means any of the following acts committed with intent to destroy, in whole or in part, a national, ethnic, racial or religious group, as such: a) Killing members of the group; b) Causing serious bodily or mental harm to members of the group; c) Deliberately inflicting on the group conditions of life calculated to bring about its physical destruction in whole or in part; d) Imposing measures intended to prevent births within the group; e) Forcibly transferring children of the group to another group” . (A) Websites completely censored by Google but revealed on page 1 of circa 1 million results by a Bing Search. (i) “Jews Against Racist Zionism” (documenting the opinions of numerous anti-racist Jewish humanitarians opposed to genocidally racist Zionism)  – zero result for the website per se (9,240 search results) (Google Search) versus #1 on page 1 (1.48 million search results) (Bing Search). (ii) “Gaza Concentration Camp” (documenting anti-racist Jewish and non-Jewish opinions about the 2 million Occupied Palestinians, 50% children and 75% women and children, highly abusively and indefinitely imprisoned without charge or trial in the blockaded Gaza Concentration Camp that has been described by the UN as “unliveable”)  – zero result for the website per se (11,800 search results) (Google Search) versus #1 on page 1 (2.8 million search results) (Bing Search). (iii) “Apartheid Israeli state terrorism” (documenting anti-racist Jewish and non-Jewish opinions about Apartheid Israeli state terrorism and detailing countries subject to Apartheid Israeli state terrorism)  – zero result for the website per se (753 search results) (Google Search) versus #1 on page 1 (1.6 million search results) (Bing Search). (iv) “Muslim Holocaust, Muslim Genocide” (documenting the horrendous extent of Western European-imposed Muslim Holocaust and Muslim Genocide, 600 million post-1950 Muslim deaths from imposed deprivation , and 32 million Muslim deaths from violence (5 million) or from imposed deprivation (27 million) in 20 countries including Palestine invaded by the US Alliance since the US Government’s 9-11 false flag atrocity) [3, 13-15] – zero result for the website per se (1,810 search results) (Google Search) versus #1 on page 1 (1.28 million search results) (Bing Search). (v) “Palestinian Genocide” (documenting anti-racist Jewish and non-Jewish opinions about the ongoing Palestinian Genocide in which 2.3 million Palestinians have died from violence, 0.1 million, or from imposed deprivation, 2.2 million, since the British invasion of Palestine in WW1 and involving 90% ethnic cleansing of Palestine, 5 million impoverished Occupied Palestinians without human rights, and 8 million Palestinian refugees)  – zero result for the website per se (25,400 search results) (Google Search) versus #10 on page 1 (1.28 million search results) (Bing Search). (i) “Non-Jews Against Racist Zionism” (detailing anti-racist non-Jewish opinions about the immense crimes of racist Zionists)  – #1 on page 1 for the website per se (482 search results) (Google Search) versus #1 on page 1 (1.48 million search results) (Bing Search). [ii] “Boycott Apartheid Israel” (documenting anti-racist Jewish and non-Jewish opinions about the global campaign to apply Boycotts Divestment and Sanctions (BDS) against Apartheid Israel and its racist supporters)  – #1 on page 1 for the website per se (12,500 search results) (Google Search) versus #10 on page 1 (1.13 million search results) (Bing Search). (iii) “Iraqi Holocaust, Iraqi Genocide” (documenting anti-racist Jewish and non-Jewish opinions about the Iraqi Holocaust and Iraqi Genocide in which 4.6 million Iraqis died from violence, 1.7 million, or from imposed deprivation, 2.7 million, under Sanctions and Occupation, 1900-2011)  – #1 on page 1 for the website per se (1,620 search results) (Google Search) versus #1 on page 1 (376,000 search results) (Bing Search). (iv) “Afghan Holocaust, Afghan Genocide” (documenting anti-racist Jewish and non-Jewish opinions about the Afghan Holocaust and Afghan Genocide in which (as of 2014) post-invasion violent and non-violent avoidable deaths total 1.7 million and 5.5 million, respectively, for a total of 7.2 million deaths, and post-invasion under-5 infant deaths total 3.0 million (90% avoidable and due to US Alliance war crimes in gross violation of Articles 55 and 56 of the Geneva Convention Relative to the Protection of Civilian Persons in Time of War that demand that an Occupier must supply life-sustaining food and medical requisites “to the fullest extent of the means available to it”))  – #1 on page 1 for the website per se (736 search results) (Google Search) versus #1 on page 1 (19,200 search results) (Bing Search). (v) “Aboriginal Genocide” (documenting anti-racist Jewish and non-Jewish opinions about the ongoing Australian Aboriginal Genocide in which since the British invasion in 1788 about 2 million Indigenous Australians have died avoidably from deprivation, dispossession and disease and a further 0.1 million have been violently killed) [21, 22] – #6 on page 1 for the website per se (9,600 search results) (Google Search) versus #1 on page 1 (7,510 search results) (Bing Search). (vi) “Climate Genocide” (documenting anti-racist Jewish and non-Jewish opinions about the worsening Climate Genocide in which circa 1 million people already die annually from the effects of global warming and 10 billion people are predicted to die thus this century if man-made global warming is not requisitely addressed)  – #2 on page 1 for the website per se (82,200 search results) (Google Search) versus #2 on page 1 (34,900 search results) (Bing Search). Why the total Google censorship of websites in category A and zero Google censorship of websites in category B? The websites in section A specifically deal with Zionist crimes as revealed by their titles, noting that the Palestinian Genocide is part of the Muslim Holocaust and Muslim Genocide. In contrast, the section B titles of the “Iraqi Holocaust, Iraqi Genocide”, “Afghan Holocaust, Afghan Genocide”, “Aboriginal Genocide” and “Climate Genocide” websites do not explicitly relate to racist Zionism and Apartheid Israel. 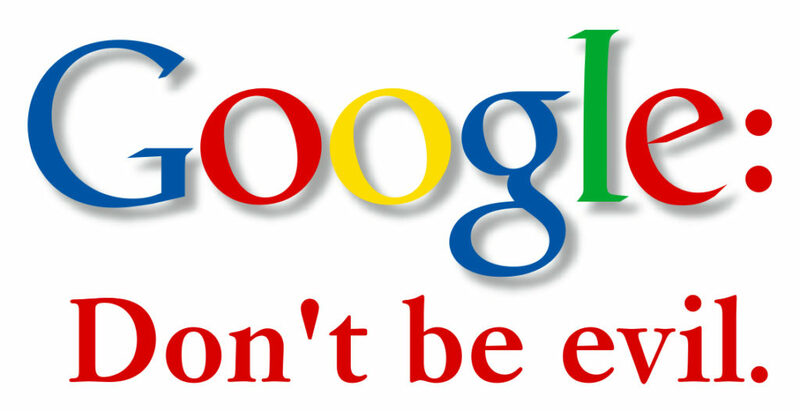 One could speculate that the failure of Google to censor the “Non-Jews Against Racist Zionism” and “Boycott Apartheid Israel” websites derives from the Zionist mindset that falsely regards non-Jews opposing Zionism and Jews and non-Jews supporting Boycotts Divestment and Sanctions (BDS) against Apartheid Israel as “anti-Semites” – accordingly these websites would simply be documenting the views of alleged anti-Semites and as such would be acceptable to the Zionist Google censor. Further, the censored websites in section A all involve anti-racist Jewish exposure of Zionist crimes. Rodolfo Ragonesi (lawyer and researcher in history and international affairs) has eloquently described the “major embarrassment to the Zionists” of anti-racist Jewish opinion (2018): “Speaking out against Zionism and the occupation of Palestine, the Golan Heights and the illegal wars in the Middle East often creates a backlash and unleashes a bunch of trolls making ludicrous claims of anti-semitism through that well-known cunning ad hominem tactic of attacking the person instead of rationally countering his arguments. Subsequently, many persons shy away from speaking out against Zionism and its roots in racist ideology, for fear of being thus labelled. Such fear only feeds the injustice against the Palestinians … Zionism is an extreme nationalistic and racist movement born in the 1870s that is built upon the ideology that Jews are to be considered a specific race or ethnicity with a specific claim to territory in the Middle East that once made up the kingdom of Israel in antiquity. Large numbers of Jews disagree, and even refer to themselves as the silent majority, but this is rarely if ever publicised, for it is a major embarrassment to the Zionists as it exposes them and weakens their position. Zionists prefer to hide behind the whole Jewish community, like foxes among the chickens. Jews who are anti-Zionist view the community of Jewish people as gelled by their adoption of Judaism, not by territory on any map. They refuse to identify with a nationalistic movement built upon a two caste system, forming a nation made up of Jews, ‘chosen people’, and Goyem, or ‘non- Jews’ which they rightly see as intrinsically apartheid and racist” . Google censorship, media ethics, corporate ethics, and anti-Jewish anti-Semitism. Numerous anti-racist Jewish intellectuals are variously critical of the ongoing Palestinian Genocide, Israeli Apartheid, the Gaza Concentration Camp, Apartheid Israeli state terrorism, the ongoing Muslim Holocaust and the ongoing Muslim Genocide but their views are heavily sidelined. Western Mainstream Media variously censor or white-wash the nuclear terrorist, genocidally racist, and grossly human rights-abusing conduct of Apartheid Israel. A part explanation for this huge moral discrepancy is that the American 60% of the world’s 30 biggest media companies have a disproportionately high Jewish Board membership. Jews and females represent 2% and 51%, respectively, of the US population but average 33% and 19%, respectively, of Board members of the top 18 US media companies . Silence is complicity and in the absence of clear, public disavowal of Zionism, one must presume that these Jewish corporate leaders are pro-Zionist. Alphabet ($59.62 billion annual revenue in 2016) is the American holding company that is the top media company in the world and owns fervently pro-Zionist Google that “minimizes” Leftist sites critical of Apartheid Israel [25-34]. 33% of Alphabet Directors are Jewish or have Jewish spouses but only 22% of Board members are women. Alphabet chairman John Hennessy is anti-BDS and hence pro-Zionist . Present analysis of the Google Board directors reveals them to be 27% Jewish and18% women. In addition to minimizing the humane contributions of the Left, Google provides software to identify targets for illegal US drone strikes e.g. in starving Somalia and starving Yemen . Of course national laws prescribe that any company selling a product must (a) honestly advertise the product, (b) supply the advertised product to clients, (c) pay taxes to the government, (d) honestly report to shareholders and stock exchanges as required, and (e) conform to generally accepted ethical norms e.g. by eschewing slavery, sexism and racism, including anti-Jewish anti-Semitism. The product of ethical media is truthful reportage but as set out above and elsewhere [24-34] , Google is engaged in massive malreportage. Further, as outlined below, Google is engaged in massive tax minimisation. Leading Australian ABC journalist, Emma Alberici, who was threatened with the sack and censored by the ABC over an article on corporate taxation : “In assessing the impact of a cut in the corporate tax rate for companies in Australia turning over more than $100 million, it’s worth noting that while some companies pay the full rate of corporate tax and others pay little or nothing at all, the average rate that was paid by these 1,950 companies was 23.5 per cent, thanks to the legitimate deductions and concession available to them. The ABC’s analysis of Australian Taxation Office data found that one in five, or 378, of the country’s biggest businesses paid zero corporate tax between 2013 and 2016, often because they’ve racked up huge losses that, in some cases, they have offset against future profits” . In 2015-2016 Google Australia Pty Ltd had a total revenue of $501.8 million , a taxable income of $122.0 million and tax payable of $16.0 million (3.2% of revenue) .
. “Muslim Holocaust, Muslim Genocide”: https://sites.google.com/site/muslimholocaustmuslimgenocide/ .
. “Aboriginal Genocide” : https://sites.google.com/site/aboriginalgenocide/ .
. Gideon Polya, “Apartheid Israel’s ongoing Palestinian Genocide & Australia’s Aboriginal Genocide compared”, Countercurrents, 20 February 2018: https://countercurrents.org/2018/02/20/apartheid-israels-palestinian-genocide-australias-aboriginal-genocide-compared/ .
. Rodolfo Ragonesi, “Jews against Zionism”, Times of Malta, 7 November 2018: https://www.timesofmalta.com/articles/view/20181107/opinion/jews-against-zionism-rodolfo-ragonesi.693659 .
. Gideon Polya, “Do Bing Searches to circumvent mendacious , pro-Zionist Google censirshipo –Bingit!”, Countercuruents, 30 April 2018: https://countercurrents.org/2018/04/30/do-bing-searches-to-circumvent-mendacious-pro-zionist-google-censorship-bing-it/ .
. Kevin Rawlinson, “Google agrees to pay British authorities £130m in back taxes”, The Guardian, 23 January 2016: https://www.theguardian.com/technology/2016/jan/22/google-agrees-to-pay-hmrc-130m-in-back-taxes .
. Adam Creighton, “Technology giants pay 1 per cent tax”, The Australian, 20 May 2017: https://www.theaustralian.com.au/national-affairs/treasury/technology-giants-paying-just-1-per-cent-tax/news-story/7c0b49efea4c44e90978aab6d216a30e .
. Gideon Polya, “Australian journalistic independence threatened by Coalition Government & largely Coalition-appointed board”, Countercurrents, 29 September 2018: https://www.abc.net.au/news/2017-12-07/corporate-tax-data-released-by-ato/9236878 .
. Emma Alberici, “There’s more to jobs and growth than a corpate ytax cut”, ABC, 22 February 2018: https://www.abc.net.au/news/2018-02-22/more-to-jobs-and-growth-than-a-corporate-tax-cut/9471856 .
. Emily Clark, “The ATO just dropped corporate tax rate data and more than 700 companies paid nothing”, ABC, 7 December 2017: https://www.abc.net.au/news/2017-12-07/corporate-tax-data-released-by-ato/9236878 .